“The explored life, the explored world, are they not one and the same?” a slogan at Professor Bruce M. Knauft’s Skype profile reads. Intriguing, what would he mean?, we asked ourselves. So, this was going to be the first question of our virtual interview between Epidaurus and Atlanta. 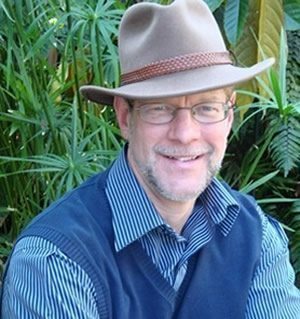 There, in the USA, Professor Knauft is Samuel C. Dobbs Professor of Anthropology and Director of the States at Regional Risk Project (SARR) at Emory University. As a scholar, he is especially renowned for his influential research among the Gebusi, a remote rainforest people of Papua New Guinea. He has followed their developments and challenges since 1980. We feel privileged that Professor Knauft is a member of ARTISA’s advisory committee and are excited about this opportunity for an interview with him. “That we manage to bring together very different kinds of voices at different levels of influence is illustrated by our recently published book ‘Mongolians after Socialism’. Included are contributions by the head of the national planning commission, members of parliament, lamas, NGO leaders, and a royal shaman. Here, the circle is complete: exploring life and exploring the world are one and the same, and sometimes in exceptionally nice ways.